Amazon Web Services’ Lambda remains the serverless leader, but competitors have a gleam of hope in their eyes. 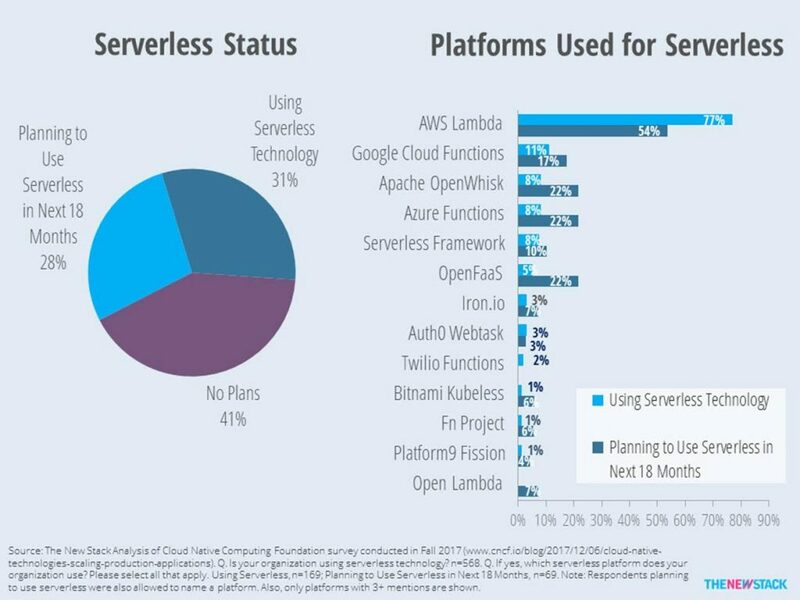 A few months back, the Cloud Native Computing Foundation (CNCF) surveyed over 550 people, of which 31 percent use serverless technologies. The survey followed up by asking which specific serverless platform is being used. Of the 169 that use serverless tech, 77 percent said they used AWS Lambda. That gives AWS a huge lead as only 23 percent of serverless platform users work at an organization that have not adopted AWS Lambda. AWS’s lead is not surprising considering its penetration in cloud computing and over a year’s head start in the serverless market. Several other platforms in use are considered a Function as a Service (FaaS) offering. 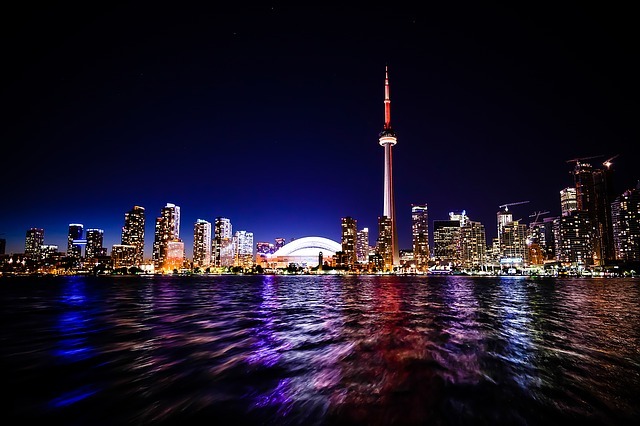 Perhaps due to Google’s centrality to many CNCF projects, Google Cloud Functions is in use by 11 percent, with Microsoft’s Azure Functions tied with Apache OpenWhisk at eight percent. Although respondents were asked to relay names of the platforms they used, the survey design allowed those with near-term plans to name what platforms they expect to use. Although only 69 people responded, the results provide hope. There is a three-way tie for second place, with OpenFaaS, Azure and OpenWhisk all seeing 22 percent of future serverless platforms users considering their platforms. Due to the survey’s size and sample, along with the general immaturity of the market, The New Stack believes the adoption rates of different platforms may vary significantly in future studies. Still, it is noteworthy that many platforms were asked about but were excluded from the above chart because they received two or fewer responses. Those platforms included PubNub Functions, Galactic Fog, OVH Functions, Overclock, Weblab.io and Nano Lambda. Finally, a shameless plug. The CNCF’s Serverless Working Group is tirelessly refining a white paper and developing a framework of common industry definitions. We encourage you to check them out.